An ample hot water source is something a home and business owner may sometimes take for granted: up to the point something goes completely wrong! C Mac Plumbing and Drain Service has got the most desirable water heaters and Alabama has come to count on us to offer the expert specialists prepared to provide high quality installation when it’s time for you to renew your unit(s). 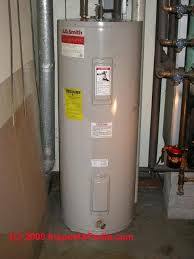 Water heater tanks are available in various sizes and degrees of energy-efficiency: so deciding on the best one to meet your requirements is definitely important. Our top-notch plumbing specialists will go to your home or place of work to execute testing, evaluate your needs and assist you to simply select the unit that is best in terms of capability, energy-efficiency and also cost-effectiveness. C Mac Plumbing and Drain Service experts are truthful, warm and friendly as well as educated: we will provide you with the comprehensive important information to make a confident choice. We’re here to help you 24/7! We also are known for repairing your current unit(s) as well as tankless heater set up. You can rely on us to utilize our plumbing knowledge to keep your family or business’s hot water supply running properly. If you have any questions always feel free to contact C Mac Plumbing and Drain Clean Service!